Combine egg and water in a shallow bowl. Lightly whisk to combine. 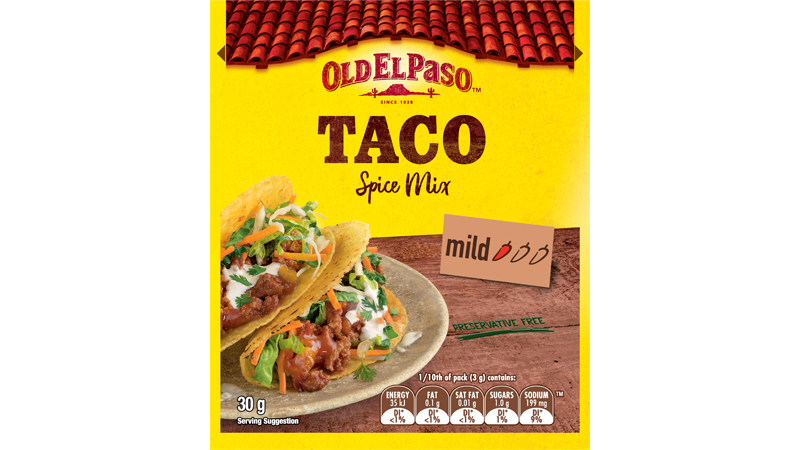 Place Taco Spice Mix in a shallow bowl. Place breadcrumbs onto a large plate. Press fish in spice mix to coat. Dip fish in egg mixture, shaking off excess. 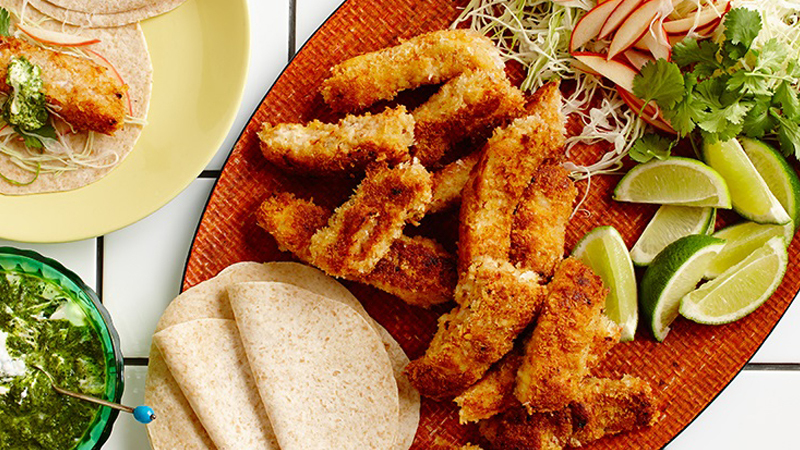 Toss fish in breadcrumbs to coat. For the Crunchy Slaw: Combine cabbage, apple and coriander to create a slaw. To cook the fish: Pour enough oil into a frying pan to come 1cm up side of pan. Heat over medium-high heat. Cook fish, in 2 batches, for 5 minutes, turning, or until golden and cooked through. Drain on paper towel. For delicious Tortillas: Heat a non- stick frying pan over a medium heat and brown each tortilla for 10 seconds on one side only. Wrap in a tea towel until ready to serve or heat according to pack instructions. Serve toasted tortillas, crispy fish, slaw and lime wedges to the table and build your own soft taco any way you like!